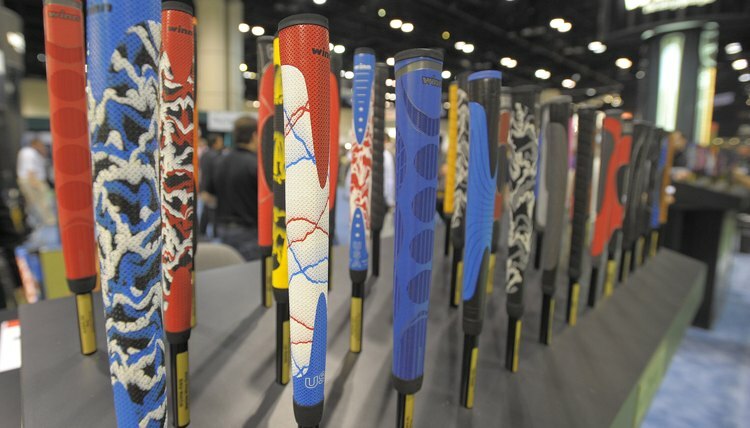 There are a multitude of putter grip materials, styles, shapes and colors...so choose wisely. It's amazing how overlooked putting is in the game of golf. Too often, the big three of golf—driving, fairway saves and the short game—overshadow the guy with the putter knocking down the 10-footer to yet again make birdie. But, more than any other aspect of the game, with respect to the short game, a hot putter can make all the difference in who's buying once you hit the clubhouse. Confidence is key to being a great putter. Regardless of the monster 300-plus-yard drives and immaculate saves from the rough, Tiger Woods makes his living with his putter in his hand. He uses a fairly conventional grip when it comes to putting. Basically, he cups the putter in his left hand (you'll use the right hand if you're a lefty) and the right hand is parallel and slightly below the left, with both thumbs pointing down the shaft of the putter. To unify the hands, the pointer finger on his left hand falls across his two top fingers on his right hand. How you grip it isn't as important as what the end result is. The split-handed grip looks unorthodox. That's because it is. Yet it still does the trick for some of the best putters in the pro game today. 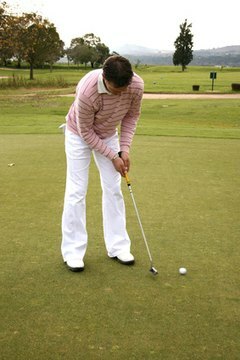 To do the split-handed grip, you grab the top part of the putter grip with your right hand, thumb going down the shaft. Your left hand then goes below the right hand leaving approximately an inch of space between the two hands. The right hand's fingers should remain in contact with the inner left forearm to create consistency. Long-handle putters are still somewhat of an oddity on local courses. The best putters in the game continue to use a rather clunky-looking style of putter called a long-handle putter. 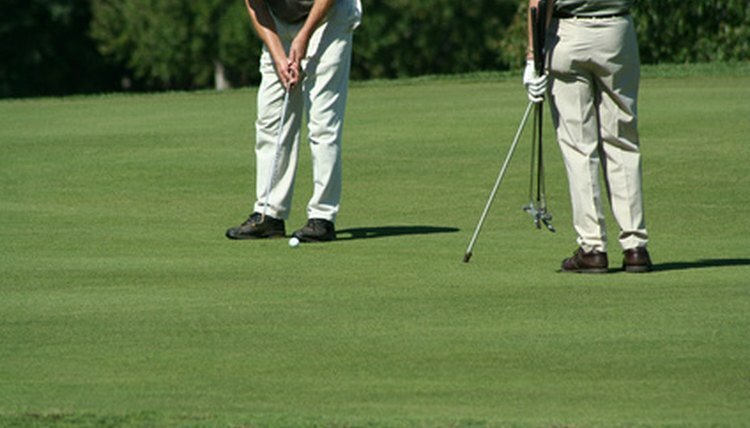 There's also a variation called the belly putter that tucks into the belly. 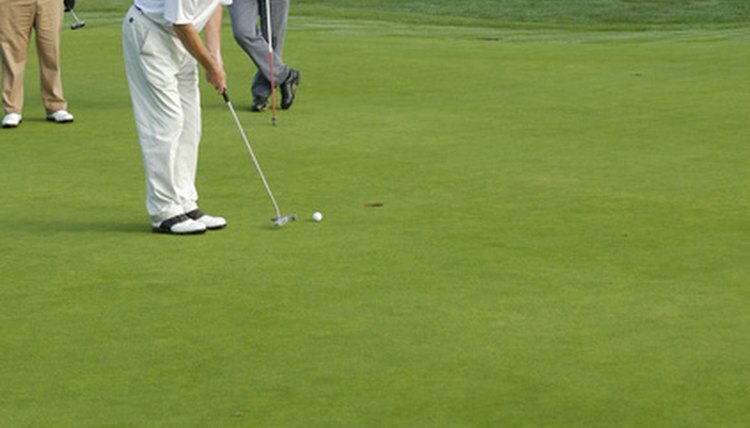 While grips may vary with the long putter, the most common is the two-hander with the left hand firmly gripping the top of the putter like a broom, the hand stabilized by the chest or gut, while the right hand slides down a foot with the thumb hooking around the back of the grip, the pointer finger over the front and the rest of the fingers going around the back, nails touching the grip.